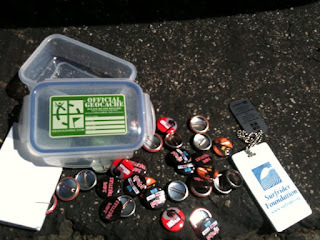 Geocaching is just like real estate - location, location, location! It is common for geocachers to hide caches in locations that are important to them, reflecting a special interest or skill of the cache owner. These unique locations on the planet can be quite diverse. A prime camping spot, great viewpoint, unusual location, etc. are all good places to hide a cache. Does it meet all requirements and geocaching guidelines to be listed on the site? Make sure to review these during your research. Issues of concern include cache saturation, commerciality, solicitation and long-term cache maintenance. Did you consider accessibility? If it is too visible or too close to busy roads and trails, there is a good chance someone may stumble upon it by accident. It is best to place a cache just off trail to preserve the environment but keep it out of sight of people casually passing by. Did you seek permission from the land owner or manager? If you place a cache on private land, you must ask permission before hiding your cache. If you place it on public lands, contact the land manager to find out about any rules or restrictions. Please note: You will be in violation of federal regulation by placing a cache in any area administered by the National Park Service (US). The National Park regulations are intended to protect the fragile environment, and historical and cultural areas found in the parks. Will the location placement cause unnecessary concern? Please use common sense when choosing a location for your cache. Do not design your cache such that it might be confused with something more dangerous.